Activist hedge fund operator Elliott Management takes a 9.2 percent position in Athenahealth, sending ATHN shares soaring 22 percent Thursday. The fund issued its standard language that refers to “operational and strategic opportunities” (often involving selling the company) and expresses its interest in engaging with Athenahealth’s board. Elliott has pressured other healthcare-related companies to increase shareholder value, most recently The Advisory Board Company and Cognizant. From Justin Box: “Re: Mary Washington’s video ‘Right Hand Man.’ We’ve reposted it on YouTube.” Justin, who is SVP/CIO of Mary Washington Healthcare (VA), said the hospital initially pulled the unlisted video from YouTube after I mentioned it Tuesday since it was intended to be for an internal audience only, but has since decided to repost the original, unedited version, which is spectacular. The hospital’s marketing people did an amazing job putting it together and the hospital employees who appear in it were fantastic. This would win my HISsies Best Picture award if I had one. Here’s an even more impressive factoid from Justin – President and CEO Mike McDermott, MD, MBA came up with the Hamilton theme idea, wrote the lyrics, and took on the starring role. I’ve watched it at least 10 times so far today. In one of those IMDB-type “goofs,” listen for the Epic product name that is mispronounced. From Aftab: “Re: Aspen Valley Health (CO). 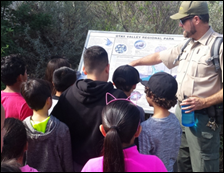 A failed Epic implementation caused a loss of millions of dollars and the RIF of dozens of long-term employees. The 20-something IT director brought in an inexperienced team with no healthcare background and farmed out the technical IT jobs to an Indian outsourcing company. There was open revolt from the hospital staff, coupled with the CEO and CIO leaving.” Unverified. 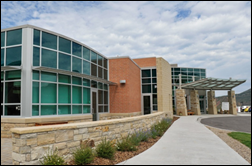 The 25-bed hospital signed up for Epic at a cost of $5.4 million in October 2015, affiliating with UCHealth. I reviewed the online video minutes of the hospital’s recent board meetings to look for updates — in the March 2017 session, the board talked about choosing a new EHR from among Cerner, EClinicalWorks, and current vendor Meditech, focusing on a system that is “affordable and accessible to any practice.” The board also wants its own MPI that isn’t shared with another hospital and its own EHR build. The board also noted that Cerner and EClinicalWorks are cloud-based, while Meditech would require 50 hospital servers, but they want to make sure cloud-based systems are ready for prime time. They’ve issued an RFI and hope to be live by 2020. 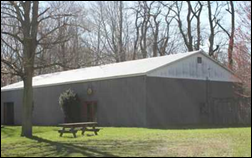 From Publius: “Re: Health Gorilla. Have you heard of them? 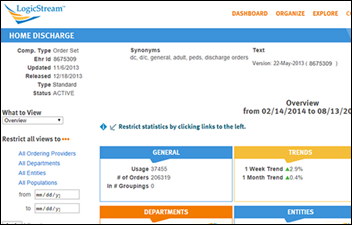 They’re seemingly a Web-based EMR that supports electronic lab ordering. 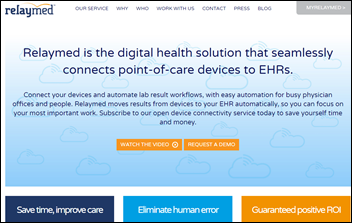 Is it used by smaller private practices?” I’ve mentioned the company a few times, labeling them as a “medical record aggregator” and secure network that allows sharing records and placing electronic lab orders. Practice price ranges from free to $60 per month. The Silicon Valley-based company – formerly known as Informedika — has raised $4.4 million, none of it recently, and hasn’t issued a press release since October 2015. From SugerHound: “Re: Apple Watch and glucose monitoring. The rumors are more substantial than are being reported. Chrissy Farr has a great report on CNBC that cites multiple sources.” The article says Apple’s team of biomedical engineers has been developing non-invasive blood glucose sensors for several years in a project originally envisioned by Steve Jobs. They are reportedly conducting feasibility trials and figuring out how to earn FDA approval, which probably won’t come easily or quickly. This week on HIStalk Practice: One Medical opens first practice in Seattle. Vivid Vision raises $2.2 million for VR-enabled vision disorder treatment technology. US HealthWorks develops telemedicine app. MD EMR Systems, Bridge Patient Portal work on Centricity integration. CMS allocates $30 million for medical societies interested in helping to develop MACRA measures, adds four regions to CPC+ program. Premise Health will roll out Epic over the next two years. 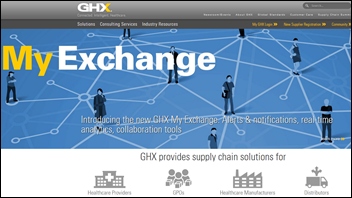 A Singapore-based private equity firm buys a majority position in supply chain technology vendor Global Healthcare Exchange from PE firm Thoma Bravo, which bought the business in February 2014 and will remain a minority owner. 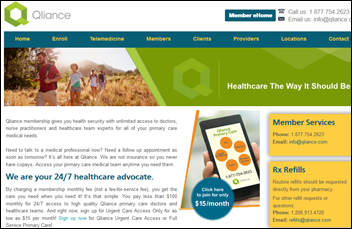 Seattle-based primary care clinic Qliance Medical Management, which had raised $33 million from investors that included Amazon’s Jeff Bezos, shuts down. The two principal officers bought the company in March 2016 from its investors. 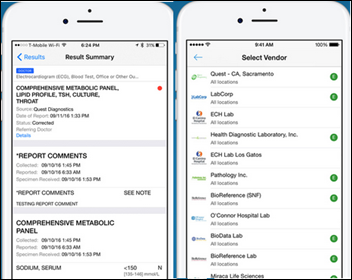 Clinical process improvement technology vendor LogicStream Health closes a $6 million Series B funding round. Credentialing and compliance software vendor Symplr acquires Vistar Technologies, which offers a provider data management system. 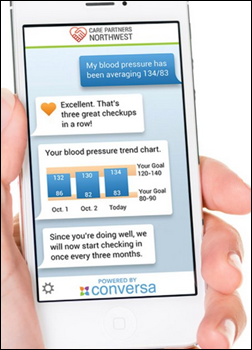 Conversa, which offers doctor-patient conversation programs, raises $8 million in a Series A funding round led by the venture arm of Northwell Health (NY), which will also use the company’s systems. 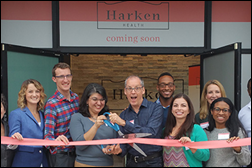 UnitedHealthcare subsidiary Harken Health, launched in 2015 to offer health insurance combined with low co-pay visits in its Atlanta and Chicago health clinics, will shut down after extensive losses. Amazon is considering entering the pharmacy market, according to reports, which could involve either selling drugs online (which it already does in Japan) or extending its in-house pharmacy benefits management program. McKesson is basically out of the health IT business (or will be soon), but if anyone still cares, the company announces Q4 results: revenue up 5 percent, EPS $16.76 vs. $1.88, although that includes a pre-tax net gain of $3.9 billion related to the creation of Change Healthcare. MCK shares rose 6 percent in early after-hours trading Thursday, having beaten earnings expectations but falling short on revenue. 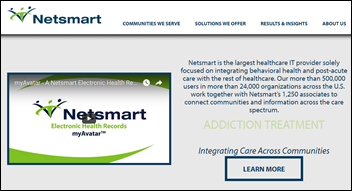 National non-profit behavioral health provider Compass Health Network chooses Netsmart’s EHR in a 10-year agreement. 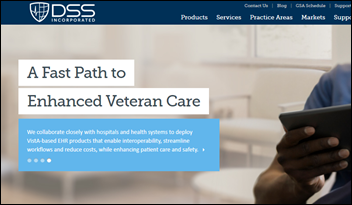 The VA awards Document Storage Systems (DSS) a $19.6 million contract to implement its ForSite2020 patient self-scheduling system that integrates with VistA. DSS acquired the product in December 2016 with its $2 million purchase of Streamline Health’s Looking Glass patient scheduling and surgery management software, which Streamline had previously bought in its February 2014 acquisition of Unibased Systems Architecture. 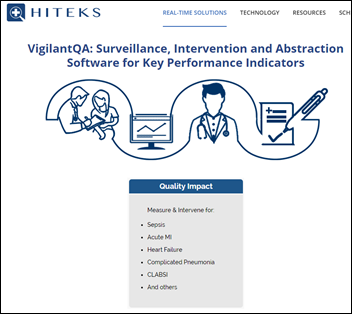 Prime Healthcare will implement real-time sepsis surveillance systems from Hiteks Solutions, integrated with Meditech and Epic. Robert Califf, MD — who served less than a year as FDA commissioner before the administration change — returns to Duke Health as vice chancellor for health data science and will also split time in a leadership role at Alphabet’s Verily Life Sciences, where he will work with turning health-related data into practical applications. Verily, formerly known as Google Life Sciences, has worked on continuous glucose monitors, smart contact lens, retinal imaging, and surgical robotics. Visage Imaging releases its Visage 7 Open Archive solution of its enterprise imaging platform to customers in North America. Athenahealth announces a Meaningful Use Stage 3 guarantee for its hospital customers. The company also opens San Francisco-based MDP Labs, an innovation program that offers workspace, mentorship, and exposure to potential investors, partners, and customers. 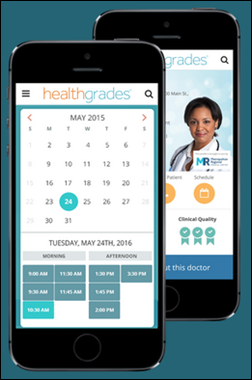 Healthgrades enhances its online scheduling system to allow health systems to display their nearby alternative providers when a given one is booked up. Siemens Healthineers will integrate test results from its HbA1C and urinalysis diagnostic equipment with practice-based EHRs via technology from Scotland-based Relaymed, owned by Goodmark Medical of Longwood, FL. The Justice Department files a civil fraud lawsuit against UnitedHealth Group, claiming that the insurer was overpaid at least $1 billion in Medicare Advantage payments after intentionally submitting inaccurate risk adjustment data. UHG says it tried to comply with CMS’s “unclear policies” and adds that the Justice Department either misunderstands or ignores how Medicare Advantage works. 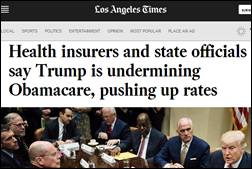 Insurance company executives and state insurance regulators say the ACA insurance marketplaces aren’t collapsing under their own weight, but rather because of the Trump administration’s erratic management, vocal lack of support, and ongoing threats to stop payments, according to an LA Times article. In a remarkably partisan response for a federal department employee, 28-year-old Alleigh Marre — quoted as an HHS spokesperson but self-identified on her LinkedIn profile as a “Republican Communicator,” — said, “Obamacare has failed. For this reason, Republicans are reforming healthcare so it delivers access to quality, affordable coverage to the American people.” The article also notes that CMS Administrator Seema Verma told insurance company executives that the White House would continue allowing the payment of cost-sharing reductions (premium subsidies, required by law to be paid unless a court rules otherwise) if insurance companies would in turn support the Republican ACA repeal bill, a puzzling offer (even for a near-shakedown political demand) since repeal would do away with the subsidies. Bronx-Lebanon Hospital Center (NY) and its contractor iHealth send threatening cease-and-desist letters to the author of DataBreaches.net after she let the hospital know that their patient information was exposed due to an improperly configured server, for which the hospital originally thanked her. They claim that the discovery of their apparent screw-up constitutes “hacking,” which happens often when companies are embarrassed and attempt to shoot the messenger. 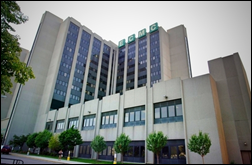 Erie County Medical Center (NY) finally confirms that the April 9 cyberattack from which it is still recovering six weeks later was indeed ransomware, which had been widely speculated. The hospital declined to pay and was forced to move back to paper as its systems were slowly brought back online from backups. They don’t believe it was the WannaCry malware. Google is applying machine learning to millions of de-identified patient records from major teaching hospitals to see if it can predict an individual’s medical events. 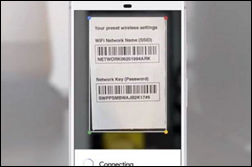 Google Lens, an app that can identify objects from a smartphone’s camera. New Daydream virtual reality headsets. Photo facial recognition that will suggest sharing images with people pictured in them and AI-powered removal of unwanted objects in photos. 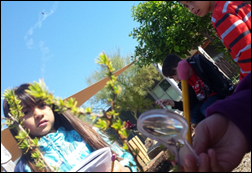 A visual positioning system that will identify a precise location based on nearby objects, such as finding items on a store shelf. The addition of calling and proactive information presentation to Google Home and the porting of Assistant to the iPhone. 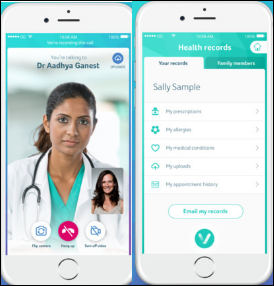 In India, Aetna rolls out the first phase of its global launch of it subscription-based vHealth by Aetna, which offers unlimited PCP visits by video or telephone, diagnostic tests at home, home prescription delivery, and referrals. Patients can rate their doctor experience afterward. 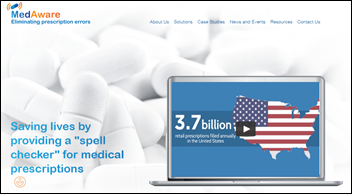 FiercePharma profiles Israel-based MedAware, which uses aggregated prescription data and a patient’s own medical records to predict what drugs are likely to be ordered, improving patient safety in providing what it calls a “spell checker” for prescriptions. The CEO has astutely noted that all of that information is also attractive to drug companies that are interested in targeting their physician prospects, giving it an unexpected yet lucrative market. 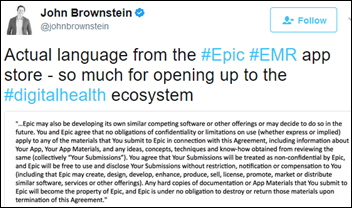 Boston Children’s Chief Innovation Officer John Brownstein weighs in on the language in Epic’s App Orchard agreement, which basically says that Epic can use any of the submitter’s information to develop a competing product and that Epic permanently owns any documentation that the applicant submits. In other words, it’s exactly opposite of the highly restrictive language contained in Epic’s customer contracts. 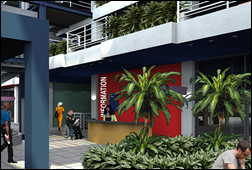 In an interesting twist on medical tourism, a nearly completed medical center in Jamaica plans to lure not only medical tourists to fly there for procedures at discounts of up to 40 percent, but also to recruit American doctors to perform the work while taking a Caribbean vacation. Critics point out that it’s been tried before, failing because doctors are too busy to interrupt their vacations and are not likely covered by their malpractice insurance when doing work outside the country. 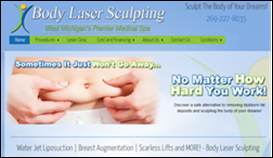 Bizarre: Michigan suspends a DO’s license after a patient complained that her liposuction surgery was performed in an unfinished pole barn, during which the doctor poured her removed fat down a sink drain. Medicity and Clinical Computer Systems, developer of the Obix Perinatal Data System, will exhibit at the Texas Regional HIMSS Conference May 25 in San Antonio. Wavelink is named as the first Spok distributor in Australia. Medecision presents its annual innovation awards at its Liberation 2017 conference in Austin, TX. Definitive Healthcare is recognized by Boston Business Journal for its growth and work environment. FormFast and Imprivata will exhibit at the 2017 Spring Hospital & Healthcare IT Conference May 22-24 in Atlanta. Healthwise will exhibit at the Cognizant Healthcare Conference May 21-24 in San Antonio. InstaMed will exhibit at the 2017 HFMA Florida Chapter Annual Spring Conference May 21-23 in St. Petersburg, FL. InterSystems releases a statement on the WannaCry cyberattack. Intelligent Medical Objects will exhibit at the Advanced Healthcare Analytics Summit May 24-25 in Boston. Liaison Technologies will exhibit at the Bio-IT World Conference & Expo May 23-25 in Boston. NEA Powered by Vyne announces the recipients of its 2016 NEA Dental Awards. Meditech customer Beaufort Memorial Hospital receives an ‘A’ for safety from The Leapfrog Group. Health Professional Radio features Medicomp Systems CEO Dave Lareau. National Decision Support Co. will exhibit at ACR 2017 May 21-25 in Washington, DC. Consulting Magazine names NTT Data’s Mandy Selmer a Top 25 Consultant. Experian Health will exhibit at the HFMA Florida Spring Conference May 21-24 in St. Petersburg, FL. Forbes Councils interviews PokitDok Chief People Officer Maria Goldsholl. Re Aspen hospital story. You might want to ask each vendor how many CAH hospitals they provide products to. What a great video by everyone at Mary Washington Healthcare. To me this speaks volumes about their culture there and the care that leadership has for their employees. The comment about the Aspen IT Director was inaccurate and harsh. It appears that Aspen executive leadership forced her into making an Epic Connect partnership with a larger health system work and the greater burden of that failure is on the larger health system and the Aspen executive leadership. Also, not all projects succeed and perhaps we could show a little humility and grace for those that attempted to make it successful. 30,000 Athena docs checking their contracts today re: their access/ownership rights to their data. What does it take for a patient to be like “nah, I’m good”? I mean, if I scheduled a medical procedure — no matter how minor — and rolled up to marquee tent I might hesitate letting whoever is inside come at me with surgical equipment. Am I old-fashioned? Is this what the kids are calling “disruption”? The Mary Washington video is amazing! Maybe that’s what healthcare IT has been missing all these years… Musicals! Thanks for sharing it! Pretty sure in the history of paper based charting a terrorist never came in took over a hospital and locked the filing cabinets demanding payment for them to be unlocked. It’s unfortunate we forced every facility onto technology they did’t want only now to be forced to buy a ton of security software to defend against ransomware. The consumer also now has no choice though I will be personally researching for facilities that are 100% on paper, but I suspect I will find none. In the history of paper based charting, there were apparently plenty of instances of gang bangers entering hospitals and identifying wounded enemies by the paper chart outside the room, then blowing them away in their beds.